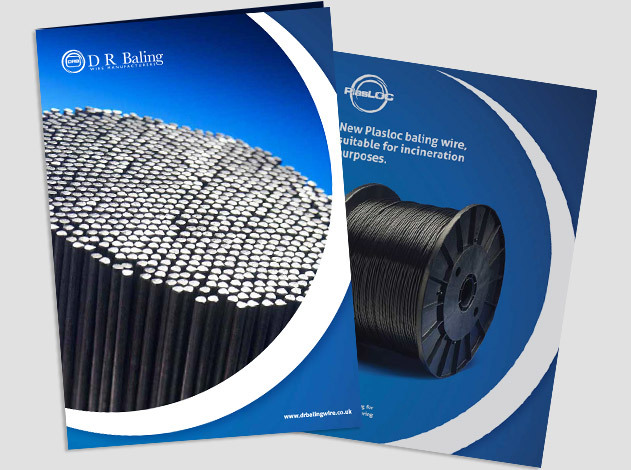 Innovation and Quality | D R Baling Wire Manufacturers Ltd. 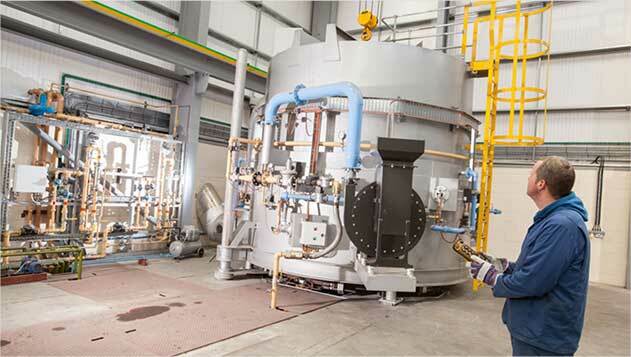 In 2011 we invested in a new state of the art Atmosphere Controlled Furnace for annealing wire. During its twelve hour cycle the nitrogen controlled atmosphere ensures a flawless scale free yet pliable strong wire. This is the most advanced innovation in annealing technology. In 2012 we designed a bespoke rewound machine, which fully automates the process of manufacturing rewound coils. The new system not only processes two coils simultaneously, but ties off and removes them within a 4 second cycle, moving on a conveyor palletizing and shrink wrapping the coils in any layout or formation as required. This has quadrupled the production process allowing us to pass significant cost savings on to our customers, making us highly competitive within the market. In keeping with our drive for innovation and performance, we are now developing an exciting new product. Suitable for baling RDF, this bespoke plastic wire will be compatible with most major baling press tying systems. To raise your interest in this new innovation, please get in touch and speak to Peter Robinson at the earliest opportunity. DRB has recently launched the new super soft cut length bar, a more pliable product for the Galvanising Industry. This has been endorsed with the approval of ‘Wedge Galvanisers’, who demand exacting safety standards within their own operation. Over the last ten years advancements have been made with baling machinery which has resulted in a need for a more precise quality reliable baling product that meets industry standards. DRB’s wire today has technically changed and advanced in line with the engineering requirements of balers. Our drawing blocks are the most technically advanced on the market for drawing technology. Drawn at approximately 30mph the smooth drawing process puts less drawing stresses on the wire. It is widely acknowledged within the UK that DRB are at the top of our field for service, quality and delivery. Most of the specifications on the market today have been established by DRB and we consistently strive to improve and amend these as technology advances. We provide full, certified product traceability, whilst working to ISO 9001 standards. 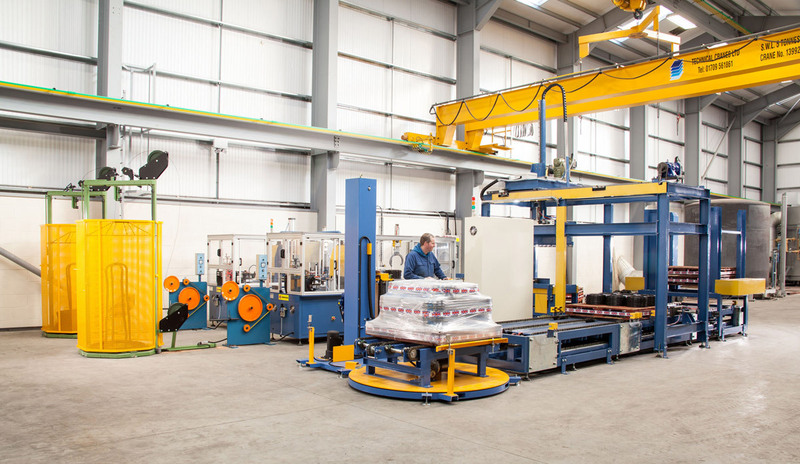 In 2011 we invested in a new state of the art Atmosphere Controlled Furnace for annealing wire.